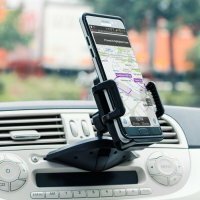 Great answer to a problem viewing my phone in the car. Easy to fit, easy to remove. 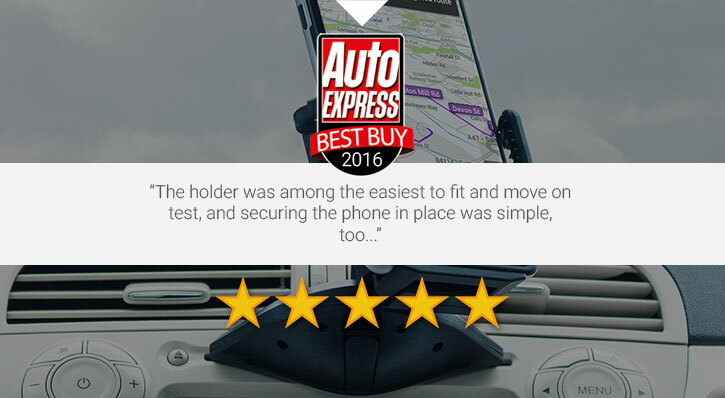 Proven by industry experts, phone's mounted away from the windscreen ensure safe driving conditions, thanks to reduced screen glare, more windscreen visibility and making your trips more pleasurable and most importantly safer. 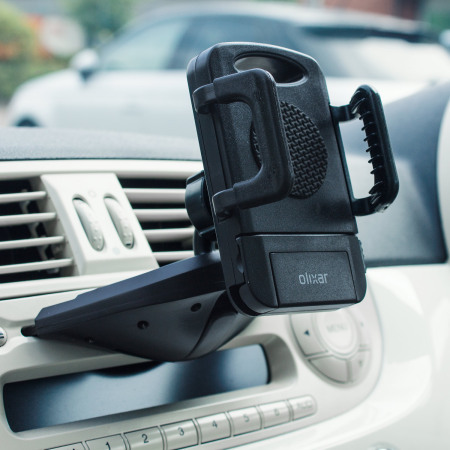 The Olixar CD Slot Mount is truly one of the world's best universal car mounts, with a unique stylish adjustable grip holder that securely holds your phone in place - even in the roughest of terrains. 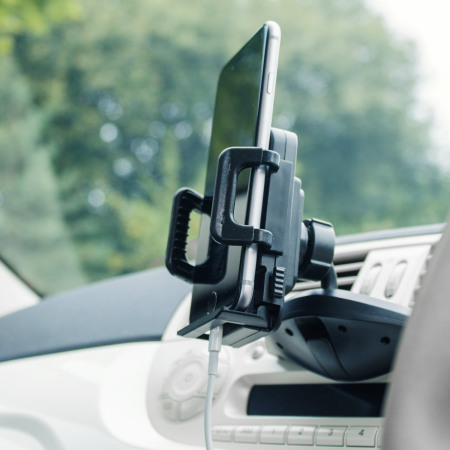 Suitable for phones with or without a case, the Olixar's quick release arms stretch from 5.2cm up to an impressive 11cm. 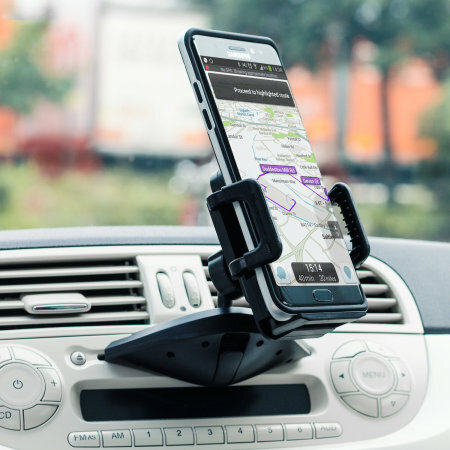 This allows it to grasp most smartphones, even the Galaxy Note 4 - regardless of how thick their cases are (including the Otterbox range). 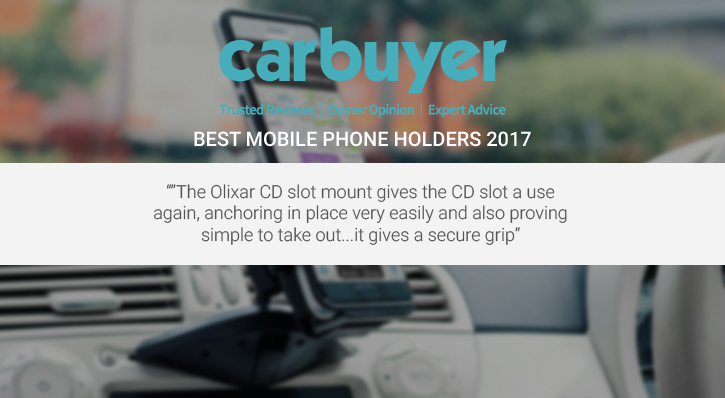 The Olixar CD Slot Mount features a button that extends the cushioned arms automatically, so you can easily rest your phone within the holder with just one hand. 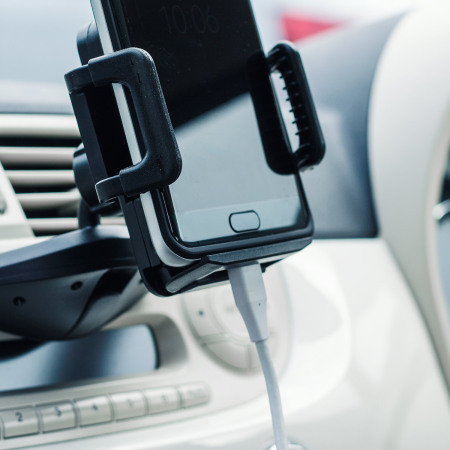 Once in position, the arms can be pressed together to secure your phone. 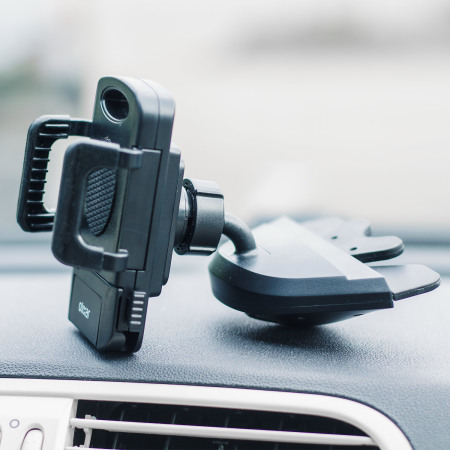 For further peace of mind, a locking button ensures the arms remain secure in the selected position. 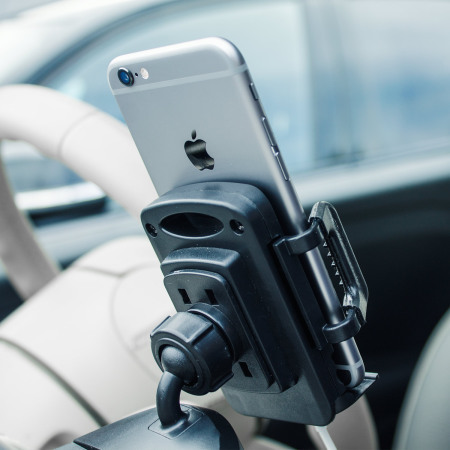 This button also acts as a quick release button for when dismounting, so you can efficiently remove your phone from the holder with just one hand. 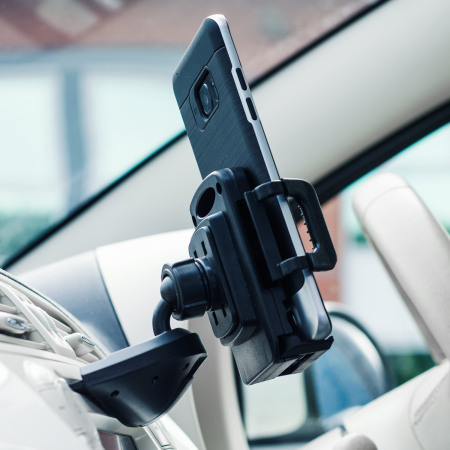 The holder features a large ball joint, allowing you to rotate your phone 360° for portrait or landscape positions and also includes a tilt depth of roughly 30° - meaning you can position the device however you wish. 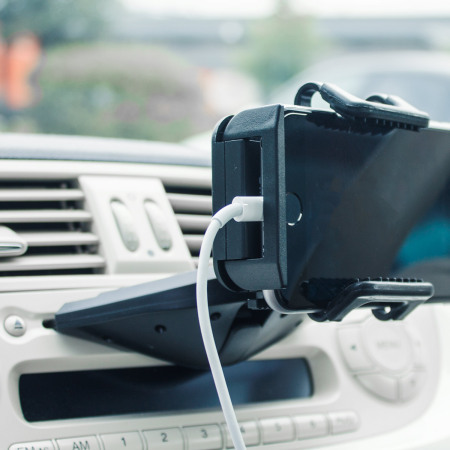 A simple nut-and-bolt mechanism allows you to secure the holder in place once you've found the perfect viewing angle. The beauty of this product is that you don't have to spend your valuable time (and patience) installing it. 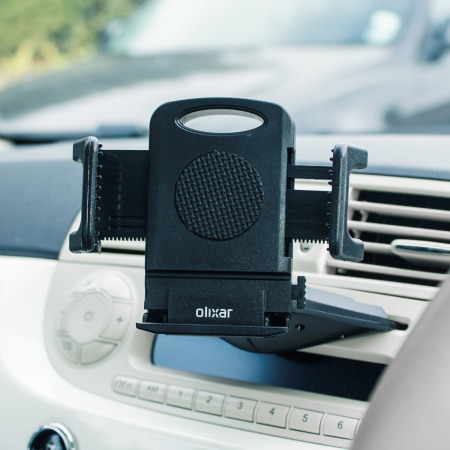 It couldn't be easier as all you need to do is just place the Olixar CD Slot Mount Holder into your vehicle's CD slot and you're good to go. 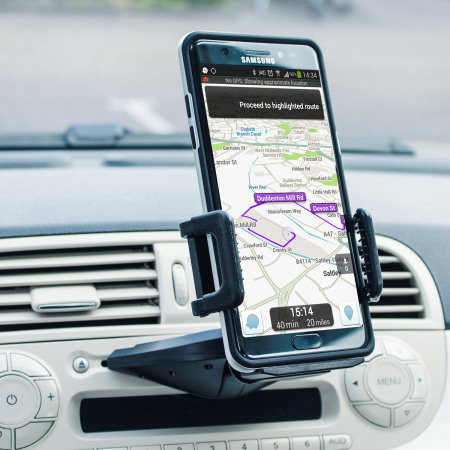 It will hold your mobile devices, sat navs or anything similar with ease. Don't be frightened that it will hinder you playing your CDs or damage your CD player. 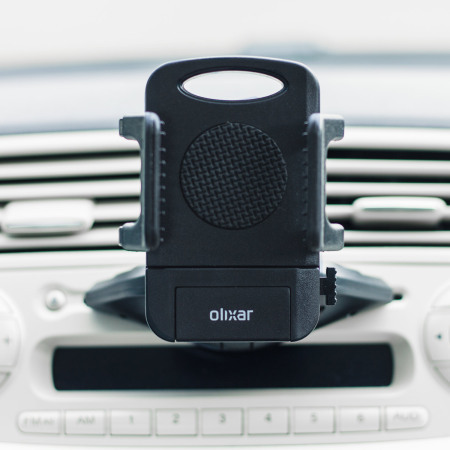 The Olixar CD Slot Mount doesn't interfere with it at all. Please note: Multi-disc & auto-changer CD or DVD Players are not compatible. 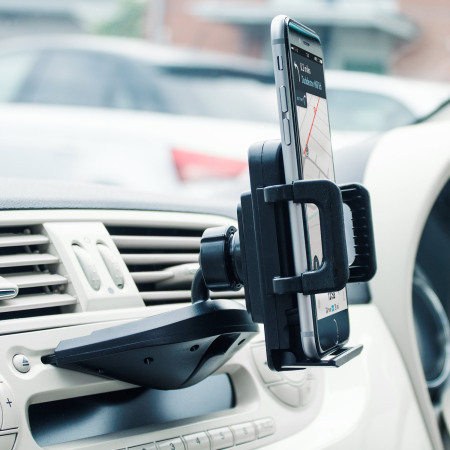 Please do not attempt use of the CD Slot Mount in any player other than a standard in-car single CD disc type. 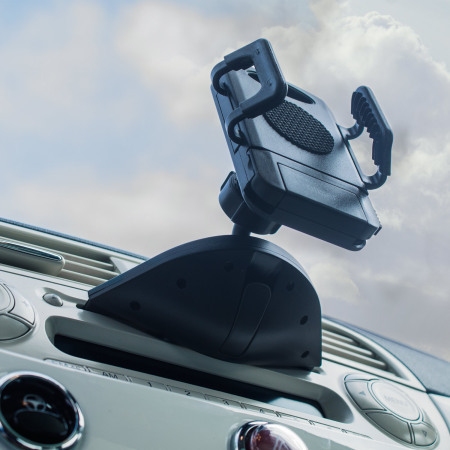 Please note: if your vehicle's CD slot is unusually narrow, this product may be incompatible with your vehicle.